In May 2013, the world lost a leading light in British composer, Steve Martland. As part of our Culture Night celebrations, we pay tribute to this wonderful composer with his 2011 work Sea Songs for mixed choir. In The White Noisery, a commission by Irish-born Jennifer Walshe, the choir function virtuosically – singing, chanting, speaking, whispering, playing recorders and other gadgets, acting out silent military drills and psychic experiments. 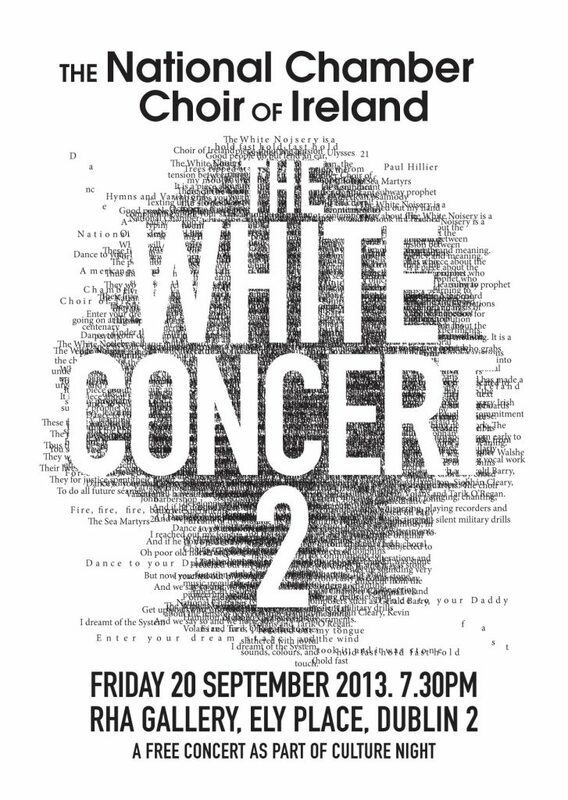 The White Concert 2 is a FREE concert as part of Culture Night – no booking necessary.